A lot of times, what we see for new product companies are you’ve got a couple of founders where one knows the product well because that started the idea, and then one knows how to market and sell the product. Once you have those two things together, the next piece is the ecommerce operations piece. Many times as companies grow quickly, the sales and marketing of those products quickly outpaces the operations. 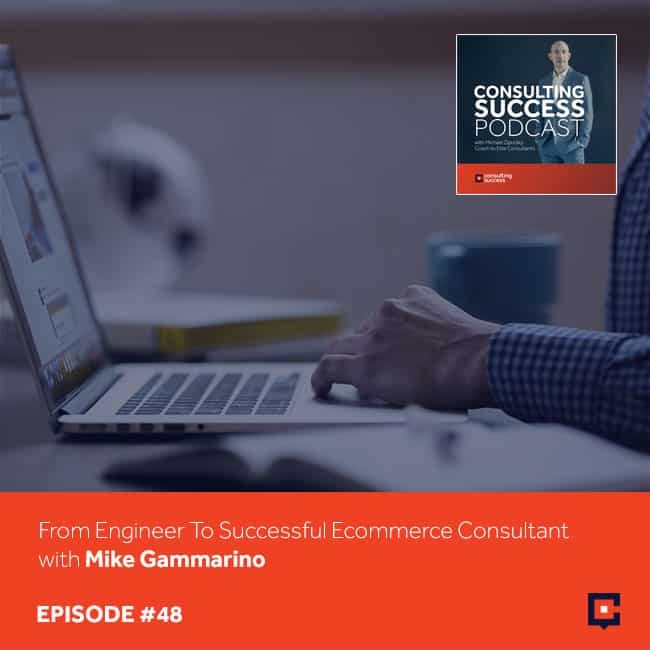 That’s typically where Mike Gammarino and his team at Bluprint Partners come in to provide guidance and set a solid foundation for growth to help make sure that the ecommerce operations keep pace with sales. Mike talks about his transition from industrial engineering to the consulting space, and shares some tips on how you can help companies make sure that their product gets to their customers on time. I’m very excited to have Mike Gammarino joining us. Mike, welcome. I’m terrific. I’m really excited to have you on. Great to be here. Thanks for having me. Mike, for those that aren’t familiar with you and your work, share with us what you do. I run an operations consultancy called Bluprint Partners and we work with high-growth eCommerce companies, mostly in the Los Angeles area and we help them scale their operations. A lot of times what we see for new product companies are you’ve got a couple of founders and typically one knows the product really well because that started the idea and then one knows how to market and sell the product. Then once you have those two things together, the next piece is the operations piece. Many times as companies grow quickly, the sales and marketing of those products quickly outpaces the operations. That’s typically where we come in to provide guidance and set a really solid foundation for growth to help make sure that operations keep pace with sales. I’ve been watching your consulting business grow during our work together, and I’ve been really impressed with what you’ve accomplished in a pretty short period of time. Let’s go back to the early days of Mike Gammarino. You’ve got started in engineering. Was it at Georgia Tech? Yeah, I’m an industrial engineer by education and that degree mainly focuses on processes and systems improvement and it can be applied in a lot of different disciplines and arenas. Interestingly enough, when I graduated, I started my career actually in the semiconductor business and that’s how I really got a taste for startups because it was a brand-new company. When I moved out to Portland, Oregon, it was literally a hole in the ground and we were doing construction to build this chip factory. I cut my teeth on the startup world in the high growth product world at a company called WaferTech and ran production lines there, 24/7, 365. It was a really great way to learn how to deal with a high pressure, high volume situation in terms of manufacturing a product. I did that for a few years and then I got a call from a buddy of mine that I went to school with. He was starting a company down in Los Angeles and moved down to LA to help him start a company called Koders. It was a search engine for software developers. That was about eleven or twelve years ago. I’ve been in Los Angeles ever since then and the technology scene here has really grown. It’s pretty concentrated in the bay area, but LA has really come of age I think in the last decade. The content and commerce and media and technology play with Hollywood started to develop about ten years ago. It was when celebrities were trying to figure out how to extend their brands beyond television and movies. 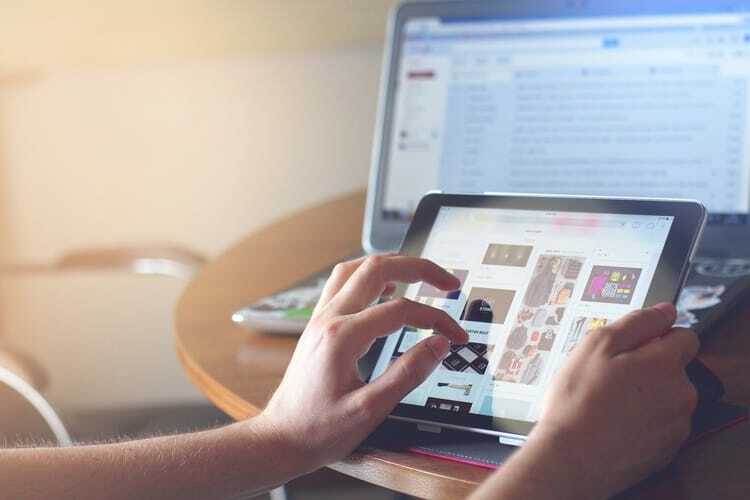 They started getting into products and then they said, “How can we market those products and get them out to more folks than just here in Los Angeles and retail stores?”’ This media and technology and content play started to emerge here in LA. That’s when I started working with a company called BeachMint. It was a startup that combined all those things I just mentioned. We launched different product brands around jewelry and shoes and apparel and home goods and paired it with a celebrity to help design the product. I handle all the operations behind that. All the fulfillment, customer service, basically anything involving package movement, warehousing, supply chain, and we grew that company very fast. It was an amazing experience. Then I helped start a company called the Black Tux, which is my next venture. It was a play-off of my experience at BeachMint. It was an online Tuxedo rental company and ran operations there. We have a warehouse here in Los Angeles and just opened one up in Pennsylvania. We have two distribution centers to serve the country and built that up from an operations perspective. I know that you’ve taken multiple companies, you played a role in multiple companies going from zero to over $20 million in under four years and you have obviously a process that you developed. You’re a process guy, you’re an engineer by trade in terms of education and where you got started, and you’re using that process with your consulting clients. What do you really feel is the biggest factor that allowed those companies to grow so quickly? It’s a combination of a lot of things. We raised money so we had capital to be able to hire the right people. 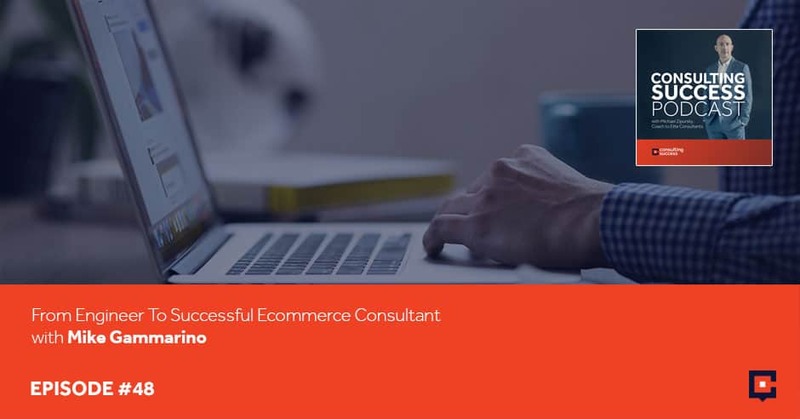 In that case, when you’re talking about eCommerce and a product company, it goes back to counter that three-pronged approach where we had a great product, we knew how to sell it, and then we knew how to get it to our customers. If one of those three items isn’t working right, it’s really going to be a problem. We really focus on helping other companies with that third leg of the stool and just making sure that this great product that they put together actually gets to their customers on time and when they like it. You had multiple successes. As you took these companies from a starting point to very significant growth levels and fast growth, why did you decide to become a consultant? When we were growing the Black Tux, we recruited a very successful organization and I was thinking about what I wanted to do next and I started poking around because I’m an early stage startup guy. I like building the foundation and helping companies with that and solving those really challenging problems as you grow that really nobody’s sometimes you’ve never seen solved before. I had been in LA for a little over ten years. I’ve seen the eCommerce industry here really grow and we’ve all seen it with Amazon. I feel like Amazon Prime is in the news every day. I think it’s on people’s minds and most of the folks in the United States have become accustomed to and are comfortable with ordering products online. I saw for me personally and professionally a few things came together at once. One, I felt like my experience was deep enough and broad enough that I could go out on my own. Number two, I felt my network was strong enough that I could put together hopefully a consulting company through word of mouth as I started to grow, at least in the beginning. Then number three, there’s a big white space here in Los Angeles especially for seasoned operations professionals. Part of that is because the growth of eCommerce has happened so quickly and the folks needed in those industries, especially operations hasn’t kept up pace. I get hit up all the time for full-time operations positions at growing eCommerce companies. Many times, we dovetail that into a consulting opportunity. It’s actually a great lead gen for additional consulting opportunities, but that’s what we saw. For me it was three different things. It was me, my professional career, my network, and then there was just a big white space that I saw in terms of the skillset that I could help multiple companies at once instead of focusing on a single organization. Clearly you fought through how you would be successful in launching your own consulting business. Do you have some fears? Was there anything on your mind that you were really concerned or worried about before you took that step? For me it was a big change. I’ve always been part of an organization and a great number two guy. I’ve never been the number one guy, meaning like the CEO. I’ve been the COO or the VP of Ops. For me there was fear around nobody’s doing this. My thought was there are a couple of reasons why nobody’s doing something in terms of the specific type of business. One is you can’t make a business out of it, and two is that nobody’s thought of it or nobody’s tried to fill that void before. What I did to quell those fears, I spent a good three or four months just meeting with my peers and other companies and people that I knew here in LA, and just running this idea by them and to understand is outsourcing operations for eCommerce company, why do they need it. The question is, was it the right way to provide the service? Because people typically don’t think about that and thinking about, “I’ll outsource my marketing, I’ll outsource my accounting,” but outsourcing operations is not something that’s often thought about. There was definitely fear about how do I get clients, will this model work? I’ve never done business development before. I’m an engineer. In my previous lives, vendors would come to me. I didn’t have to knock on doors. Trying to figure out how to grow the business and focus on not just my core competency was something that I definitely thought I might need help with. 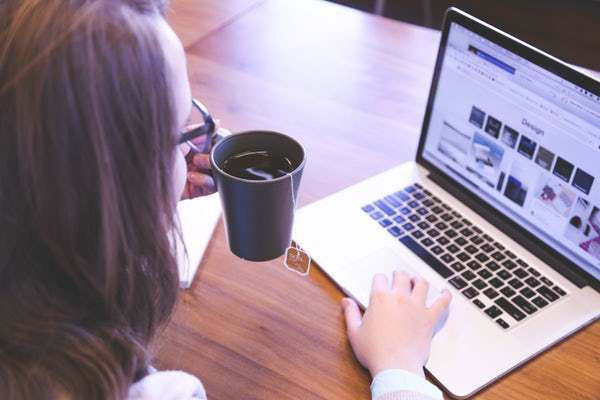 It’s interesting because we work with a lot of people who have technical backgrounds who don’t necessarily consider themselves as being sales or marketing people. A lot of those people have real fears around reaching out to new prospective clients and just doing the market validation and going through that exercise. Did you feel any fear around that or any uncomfort in reaching out to those people, Mike, or for you was it just easy to do? How did you feel about reaching out to new people that you didn’t necessarily know to talk to them about your service offerings and what you were thinking about doing? That’s getting in that right frame of mind in that mindset and having confidence in your skill set and taking an assessment of a person’s organization or where they are and their problem set. If you think, “If I can help them, then I should try.” It’s just a shift in mindset and confidence when you’re going out there. There’s a definite fear of how your ideas are going to be perceived and accepted and that’s always out there. It’s even out there for me. We’re working on some new stuff now and it’s a little scary going out there asking for people’s opinions. One thing that I’ve noticed, Mike, because we work with a lot of consultants who have a technical background where sales and marketing doesn’t necessarily come naturally to them, is that oftentimes they feel uncomfortable reaching out to new prospective clients or the people they don’t yet have a relationship with even to validate their ideas, their assumptions. That’s a step that you took. You mentioned that was very helpful and I know that we talked a lot about, but how did you feel about that? Was that natural to you, or do you also feel some sense of uncomfort in reaching out to new prospective clients to talk about your thoughts around the business and your service? I’m a systems guy and I’m a process guy and going into each client and customizing a solution is definitely a great way to provide a service to a client. However, it takes time. It takes a lot of effort, and you may get to a point where you just can’t come to an agreement on how to proceed. With the productization of services, we’re working on a monthly product. We can go back to the customer every month and help solve some of their most pressing problems. What I find the most reassuring about that is you essentially can put a menu together for them, have something for them to choose from. They can see really clearly what you offer and determine without a lot of effort on my part customizing that solution to a certain extent. Let’s talk a little about that. I know we’ve been talking about effective ways to productize your consulting services recently. You’ve seen more clients come on board, your business is growing, but what about productizing really appeals most to you? For us also, the recurring revenue is something that I’m definitely interested in. We typically go from large project to larger project and while those are great when you land them in terms of the revenue coming into the business can be a little more sporadic. We’re looking to develop some products around some key problems that we see our customers face to try to even that out and then also use it as a stepping stone for those larger projects. If we can get in at one of our set projects, they’re tailored in a way that we’re essentially monitoring the business. When we start to see things go maybe the wrong way, we can provide a higher level of a project instead of that product. It dovetails nicely into additional work at a higher margin that we can also provide for our clients. We’ve been talking about that internally as well. We’re always chatting about different models for business growth and where we want to take the company and from other businesses that we’ve sold to. The allure and the power of a recurring revenue model is a really great one. It provides a lot more stability and also a lot more value for the company, for any company. If you’re looking to actually exit from that business down the road and even if you’re not, just still as an entity that could be sold if something was to come up and you needed to change for any reason, health or otherwise, I think it’s a really good move. Your experience though, Mike, you come from the startup world, working with multiple companies, fast growing companies, helping them to really scale. How does the recurring revenue model fit in? Is that something that you’ve always insured or wanting to ensure as part of any business model that you’re creating or not necessarily? It was something I had thought about from the very beginning. There was a way to weave that into the revenue stream for Bluprint Partners and mainly for me, it’s because I come from the W-2 world. I’ve been a W-2 employee my entire career and not having to worry about where that next paycheck is coming from, there are a lot of comfort in that. There are also a lot of limitations in that too from your work freedom, who you’re working with and even as an income, there’s an income cap there too. There’s a tradeoff there, but there’s also risk reward. For you, what the recurring revenue base puts forward is it allows me to make sure that the business is a going concern and I can actually take bigger risks and not feel desperation when we’re interacting with a client and trying to land that bigger project. For me, we can take bigger swings because if that swing doesn’t pan out, we’re okay and we can go try to hit another home run with somebody else. Whereas when you’re just looking at those big engagements, it’s a little scary if it doesn’t work out. For the audience at ConsultingSuccess.com, I hope that you take away or at least give some thought to what Mike was sharing with us in terms of the value of productizing and the opportunity for recurring revenue. These are two things that can really help you to scale your business, to create a lot more freedom in terms of your time and your flexibility and that’s what most of us want. You get into business not just to make money. We get into business to create a lifestyle that we want and money is one thing that can help you to create that level of freedom and flexibility to do what you ultimately want to do. Whether that’s spending more time with family or hobbies are traveling and so forth. These are two things that you should certainly be considering for your own consulting business and finding ways to work into it if you haven’t already, if that’s the model that you want to use. Mike, for you and in your journey as a consultant to this point, what’s been the most eye-opening, the most surprising for you? For me it’s spending time on business development and learning that piece of it has been eye-opening for me because as I mentioned, I just didn’t have to do it before. Learning how to do that, that was one of the reasons actually it was after I left the Black Tux that I realized I wasn’t feeling as fulfilled. It’s because that learning piece of it wasn’t there for me like it had been before because I’d done that multiple times. It was really eye-opening, understanding that piece of the business and also how much time you really need to spend on it. It’s something you and I have talked a lot about. You’ve pushed me a lot to do that, is to dedicate time to believe, and if you don’t, you’ll hit some point where client engagement will end earlier than you expected it to and you’re running dry. That side of running a consultancy has been new for me, but it’s been fun to learn how to do it. 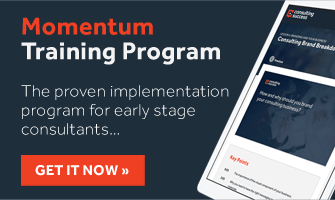 My observation of working with hundreds of consultants through this process is that you reach a tipping point in your marketing and your business development where as you are climbing that hill initially, it can feel really challenging. There are a lot of unknowns. There are a lot of periods where you’re going to question yourself and what you’re doing, but as you keep chipping away and it doesn’t mean that as you’re chipping way, things are going to always feel good. As you continue to make strides, you make progress. You start to learn what’s really working and what isn’t working as well, and then continuing to optimize and adjust and then you start to reach that summit. You reach that higher level where momentum and movement just happen. You don’t have to push as hard as you do in those early stages, but the big lesson that I’ve seen so many people learn and sometimes it’s the hard way, is that they stop. As they’re climbing the mountain they give up or they create excuses for why things aren’t working. In many cases they’re so close, they’re just so close to getting the real result that they want, but they give up too early. In your case, Mike, you’ve been doing such a great job of implementing and making progress. I’m really excited to continue watching the growth of your business. I want to encourage everyone, if you’d like to learn more about Mike and his company Bluprint Partners and just the work that he’s up to because he’s just really exceptional at what he does, Mike, what is the best way for people to connect with you and just learn more about your work? Our website is a BluprintPartners.com. If you’re involved in anything related to eCommerce, Mike is your guy on the operations side, the best I know at this. Hands down. Mike, thanks so much for coming on. Thanks, Michael. I really enjoyed it. Thanks for having me.